The promise of fifth generation wireless first dawned on the business landscape a few years ago. However, it has taken a good deal of time to see that promise realized, as 5G is still very much in its infancy. Given that there are more connected devices than human beings in the world today, there is a pressing need to deploy 5G to enable these devices; however, there is also a tremendous cost to update the infrastructure needed to make 5G viable. We are now approaching a tipping point: Network operators are investing in 5G and the result will be a fundamental shift in the business landscape. 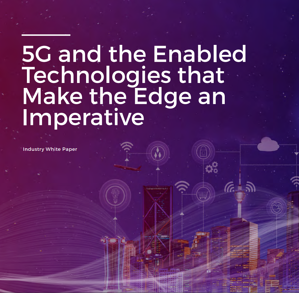 We invite you to download our new white paper, 5G and the Enabled Technologies that Make the Edge an Imperative, to learn how 5G will move into the mainstream and bring to fruition countless business models planned around delivering services and insights to customers, in near-real time.